Be as vain as you want about the dress hun...because it is Awesome! You look BEAUTIFUL, Georgina. That dress is AMAZING. Wow the dress fits you like a glove! Love the color! The dress is so gorgeous on you!! 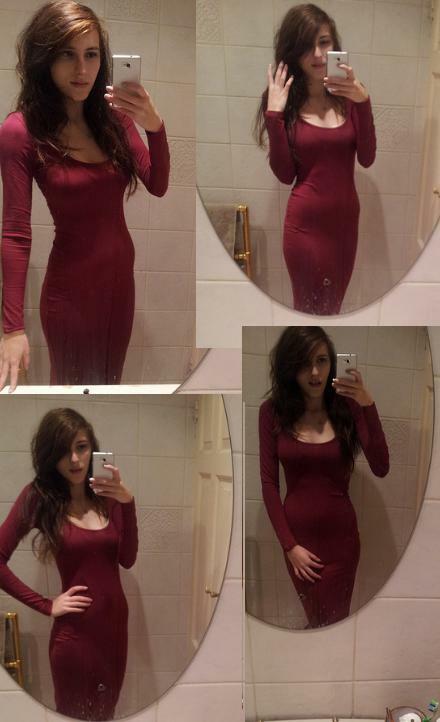 really lovely slinky dress and there is no problem being vain once in a while! we should all feel good about ourselves! and you definitely should cos this dress looks stunning on you!